Muslim community leaders and politicians are calling for an urgent review of the Islamic divorce process in Australia following an ABC News investigation that revealed abused women are being trapped in violent marriages. The report found many Muslim women seeking religious divorce from abusive husbands are being denied it by male imams who are ignorant or dismissive of the dangers and seriousness of domestic violence, and of the legal conditions of family violence intervention orders. While imams and other Islamic community leaders have strongly condemned all forms of domestic abuse, public lectures delivered in recent years by some influential clerics contain conflicting messages about whether Islam allows or even condones the non-physical abuse and control of women. The selective attack upon specific Islamic practices and textual references like those related to male and female relations and laws relevant to social matters like divorce, is a centuries old attack by the West. The international campaign targeting Islamic family laws in the Muslim world and Muslim communities in the West like Australia by secular liberal Islamophobic protagonists certainly abounds today. 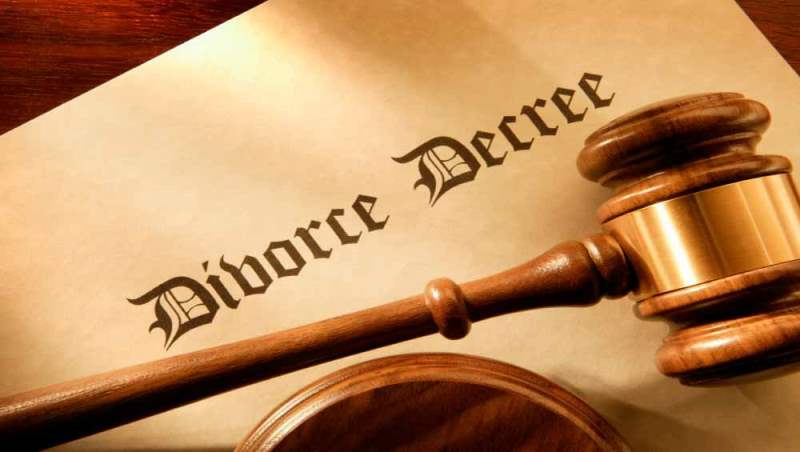 The Australian Broadcasting Corporation (ABC), an Australian government media corporation that funds research into Muslim community practices like divorce has produced inflammatory results claiming to demand an urgent review of the “Islamic divorce process”. Such an investigation undertaken by the ABC, is a continuation by the media and politicians attacking Islam with a false and tired old narrative that is all too well known to Muslims. The investigative report highlights these stale and bogus claims whereby it states, “the crux of the issue, experts say, is the fact that the laws governing Islamic divorce in Australia are based upon deeply conservative, patriarchal interpretations of Islam, which means women’s rights are ultimately ignored.” It is this ideological secular liberal position that slanders Australian Muslim communities practice of Islam as being patriarchal and oppressive to women that is the issue and not domestic violence that the investigation claims to be concerned about. This can be observed when noting the ABC’s biased referencing of feminist scholarship that claims to adopt a so-called “progressive approach” seeking “new interpretations” towards the meaning of textual references concerning Islamic divorce laws. Certainly there are causes for serious concerns towards the plague of domestic violence that exists within the Australian secular liberal society, where on average (according to the government’s Australian Institute of Health and Welfare), one woman a week is being killed by a current or former partner and domestic violence by violent partners causes more illness, disability and death than any other risk factor for women aged 25-44! Therefore, any investigations of domestic violence needs to start within the dominant secular liberal society that produces domestic violence and other marital problems and mistreatment plaguing the lives of married women in the general population and as well as the epidemic of family breakdown and divorce. And as for the causes of domestic violence in society they are certainly due to evident links between the failures of secular laws to create harmonious marriages within the society and not Islam. This is due to various factors, including liberal sexual freedoms that have spurned a culture of extramarital relationships, as well as feminist ideas such as gender equality which has created confusion with regards to the roles and rights of men and women within married life and an environment of competition between the genders rather than cooperation and complementary roles and rights of the spouses. Therefore, for those cases of divorce in Muslim communities that involve domestic violence stems from the impact and influence that the secular liberal society has upon Muslims and not from their Islam. The only effective way to safeguard the well-established rights of women contained within the Islamic texts with regards to marriage is within an Islamic system of governance and not within secular liberal and capitalist systems. Only in a society that implements Islamic laws comprehensively upon a state and whose judicial system would facilitate women in securing their Islamic marital rights can this occur. This system is the Khilafah (Caliphate) upon the method of the Prophethood which is absent from the Muslim lands today but during its centuries of rule, there are countless examples recorded within the judicial registries of the time of women who independently brought and won cases related to the violation of their marital rights. It further emphasizes the point that Muslim women need the urgent establishment of this state in order to protect and deliver their God-given rights for secular liberalism has certainly failed. Thus, the well-trodden path of peddling the outdated lie of how Islam is the enemy of women’s rights and opens them to abuse, injustice and mistreatment is stale. The usual run-of-the-mill demonization of the Islamic beliefs and laws that Muslims in the West have become used to as the relentless background noise in the secular societies in which they live, only aims to try and distance them from their Deen and create suspicion and hatred amongst the wider population towards Islam.